A Vampire's Kiss. A Woman's Surrender. Tall, dark, mysterious--and with a faint scar on his cheek that only makes him more gorgeous--Kaiden Thorne is one schoolgirl obsession Skylynn never forgot. Now, returning to her childhood home after eight years, she can't believe her reclusive neighbor is still living across the street--and hotter than ever. Skylynn doesn't know how Kaiden manages to stay so young, virile, and impossibly attractive. But she knows she wants him. . .even if he harbors a fearful secret he refuses to tell her. When Kaiden sees the beautiful young woman Skylynn has become, he can no longer control the bloodlust that is his true nature. Once he pulls Skylynn into his arms, presses his lips against hers--and accidentally draws blood--he longs for more. Only she possesses what he wants and what he needs. Only she can save him or destroy him. But once Skylynn agrees to help Kaiden battle his darkest desires, there is no turning back. . .
Amanda Ashley is one of those rare birds—a California native. She's lived in Southern California her whole life and, except for the earthquakes, she loves it. She shares a home with her husband, as well as an adorable Pomeranian named Lady, a wild house sparrow named Tweety, and a tortoise who remains nameless. Amanda and her alter ego, Madeline, have written 60 books. Not bad for someone who started writing just for the fun of it. Her books have made the New York Times and USA Today bestseller lists. 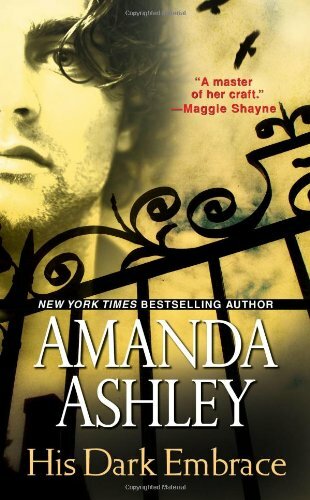 You can learn more about Amanda and her books at AmandaAshley.com.